We all knew that Red Dead Redemption 2 was going to be a colossal hit, but even Take-Two, Rockstar's parent company, didn't expect it to do as well as it has. The open world epic has shipped a rather staggering 23 million copies since it launched in October last year, the kind of number that we expect from only the biggest of gaming blockbusters. "The title shipped more in its first 15 days than the first Red Dead Redemption shipped in eight years, and it has the highest opening weekend of any title in entertainment history of any sort - $725 million. So we do feel really good about it," Take-Two's Strauss Zelnick said during the company's latest earnings call. 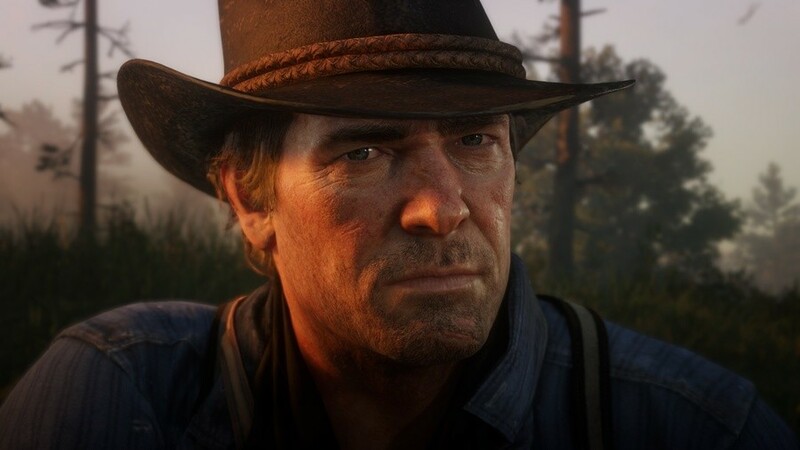 A huge contributing factor to the firm exceeding its revenue targets, Rockstar's latest has surpassed Take Two's expectations. "It is very hard to call where we'll go from here, other than to say we're thrilled with what it has achieved so far," Zelnick added. As for Red Dead Online, things don't sound quite so rosy, but Zelnick reassures that Take-Two is still happy with how the multiplayer portion of the title is performing. "It's a beta offering, of course. And it's gone about as we had expected," he said. 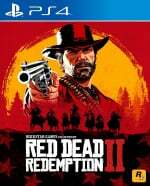 "Red Dead Online has more engagement [compared to GTA Online at this point in its life], is doing better and has a lot more early traction. Which we think is very encouraging." Red Dead Redemption 2 has been a gigantic success then, but did you see this coming? Ride into the comments section below. It is very hard to call where we'll go from here, other than to say we're thrilled with what it has achieved so far," Zelnick added. Well lets start with undead nightmares 2 dlc please. And then RDR 3 would be grand, thank you very much! @Rob_230 Not sure Undead Nightmare feels right for the more serious tone of the sequel. I'd prefer an expansion where you play as Sadie. @JoeBlogs Agreed, I feel if the Online ends up not being as big as GTAV then they'll focus on SP DLC. @Rob_230 with how people were expecting all kinds of magic from 1899 - like different enemy types, monsters and fantasy I feel Rockstar might just start a new IP which would allow more creative freedom as compared to the restrictions of RDR, so we just might never see RDR3. And it's fairly dull too, I need to finish off the last half/two thirds of it. It looks nice. Not surprised with the sales, it's up there with my favorite games this gen: Witcher 3, Fallout 4, Horizon, Dishonored 2.
n.i.c.e Michael Jordan .chicago Bulls number.is Red dead redemption 2 the g.o.a.t just like the legendary jordan🙊.son word up son. @JoeBlogs that’s a bit spoilery, buddy. Though I do agree with you. A remake of Red Dead Redemption would also be welcome. @Rob_230 "There are not enough games featuring the western genre; and few devs who could pull it off so confidently"
And yet people don't get the hype, amazing. I mean people are still discovering things I completely missed in my thorough playthrough. @Wesker Spoilery? Really? How? There's a character called Sadie? The tone is a bit more serious? Honestly, I reckon if you're THAT sensitive you should avoid all comments about the game. Deserves the sales, it's bloody magic! I would be down for sp dlc. @JoeBlogs having played the game till the end, I know it’s spoilery. You wouldn’t suggest a spin-off game for a member of the camp that dies would you? @Wesker Why not? It could be about their earlier adventures before they joined the camp. Plus (SPOILER COMING UP FOR ANYONE WHO HASN'T PLAYED THE FIRST GAME) Rockstar resurrected a dead character and explored an alternative timeline for the first Undead Nightmare. @JoeBlogs whatever. I think a big part of that game is the story and hoping that certain characters survive. I’ll leave it at that. I haven't played online for a good few weeks now. Granted, I've been playing the excellent AC Odyssey, but still, once I got my beautiful Missouri Fox Trotter horse there wasn't much else to look forward to play for. I'll definitely play through the excellent story again, though. @Wesker The whole game is a prequel, so it shows that Rockstar like going back in time and exploring how characters got where they are. I didn't mean to spoil anything, though, so I'm sorry if anyone thinks I have. For me, RDR2 is the game of the (console) generation. It is so much what I hoped for and so much more. I'm on my second play through. @Neolit Seconded. Up there with Bloodborne for me. The online on here is dead, they chose to add in a gold shop when there's hardly anything to buy with gold rather than content. The online story abruptly ends with you killing only one of the four guys responsible for the woman's husband's death and hasn't been expanded upon yet to find the other 3. There's no table games to play with friends, doesn't have to be for money, I'd just like to play dominoes or five finger fillet with a friend. But what do we have/get? @Wesker there was a rumour that it was going to redo all of John's/rdr1 in the epilogues that's why the other half of the map feels empty and why Mexico is also there too, would have been nice, also don't worry about spoilers the games been out long enough if they haven't played it or heard about it by now, it's their fault. Hope they do undead with a different spin, maybe a westworld with robots would be great. Honestly, this game absolutely blows me away with its beauty and depth while boring me to death at the same time. I’ve never experienced this before. I WANT to finish it, but it’s too much of the same over and over. It's good, but this guy absolutely nails it. I really recommend it, a really well reasoned and supported argument. @Matroska My god. That was practically fact, his argument is so good. An excellent video.